The Strip from 1951 is a different film noir than most. This film has a small noir tale to tell, but the tale seems to just be there to get you from one song and dance number to the next. People who are fans of the music of the era will love this film. 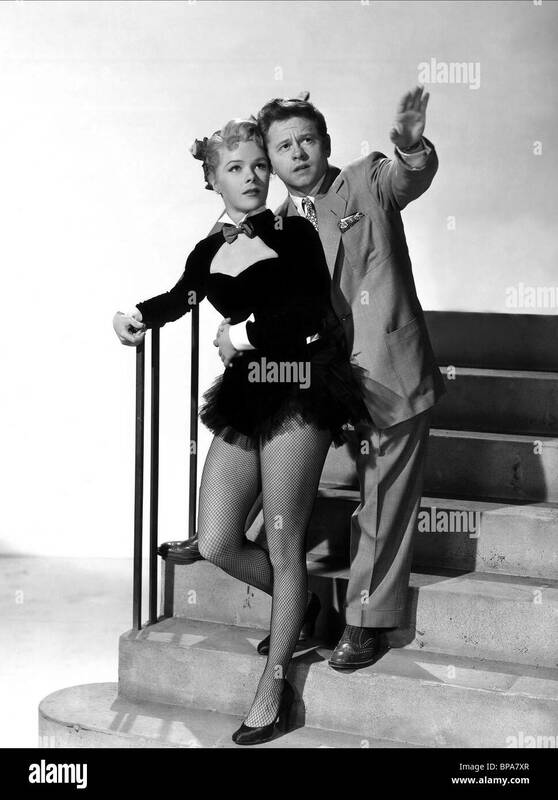 This film revolves around Mickey Rooney who has just got out of a mental institution. He soon gets a job selling “insurance” for a local gangster played by James Craig. He soon gets the chance to chase his passion of playing drums at a club on the strip in Hollywood. Fluff, played by William Demarest, owns the club and is Rooney’s father figure for this film. He soon falls for Sally Forrest who is a cigarette girl and dancer at the club. Rooney soon has plans of marriage, but Forrest is hoping to improve her career in the entertainment industry by trying to get into the movies. Rooney, wanting to keep Forrest happy, introduces her to his old gangster connection, Craig. Craig says he has connections in the movie industry and will help Forrest get into the movies. Will Rooney lose his girl to his old gangster friend? Will Forrest ever get into the movies? All this is happening as we see performances from Louis Armstrong, Monica Lewis and Vic Damone. We see Rooney on the drums and Forrest doing dance numbers as well. This is a very entertaining film because of the music and dancing, but falls into the average film noir department. If you are a fan of Rooney, Forrest or some of the musical acts that perform, I think you will love this film. If you are looking for a very dark film noir, skip this one. Wow, never heard of this and had no idea Rooney was in two noir films…if this really is noir. I watched While the City Sleeps yesterday, and will say I rather enjoyed Sally Forrest. She’s too chipper for noir, but it’s interesting to see her here again.